More Information on Natural Herbs to Vaporize or Smoke! 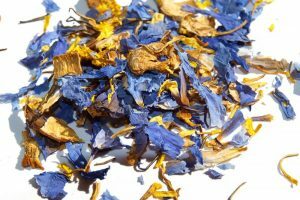 California Poppy along with its other purposes, can be used as a relaxing herbal smoke. It’s mild, but don’t under estimate it – do not drive after use. 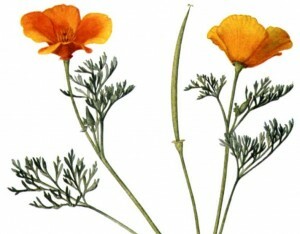 California Poppy is a non-addictive alternative to the opium poppy, though it is less powerful. 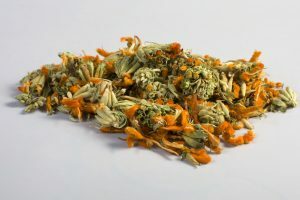 California Poppy can also be used as a nice relaxing tea. Calamus is a very pleasantly fragrant plant that is traditionally smoked or chewed. Some say it makes a nice tea. Cats yes, but you’ll like it too! Catnip makes a nice relaxing herbal smoke! 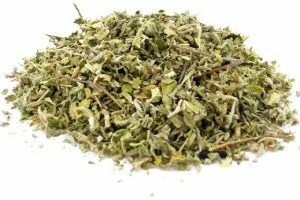 Smoking Catnip and Damiana is said to give a feeling of euphoria when blended together. Chamomile is smoked in herbal blends or by itself for a relaxing effect. The smell of Chamomile is absolutely wonderful! It has a sweet, fruity smell that is very rejuvenating and mind cleansing. 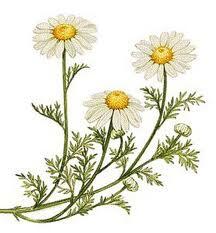 Egyptian Chamomile has a very high content of essential oils. Chamomile tea is a favorite of many for a soothing, cleansing and relaxing feeling. ( Tussilago farfara Compositae ) Coltsfoot will make you cough, as it’s an expectorant used to help detoxify the lungs, great for cigarette smokers to make their smoker’s cough more productive. It’s actually used as a tobacco substitute in the United Kingdom. Makes for some pretty good tea too. The alluring Damiana is known for its relaxing impact that dates as far back as the Maya culture. Damiana as a smoke produces a mild euphoric type of “high” that can last for 1 to 1 1/2 hours. It has also been used as an aphrodisiac. Damiana can be made into a tea as well. Many people love smoking Hops! Hops plants are usually tall and can grow as much as 22 feet! 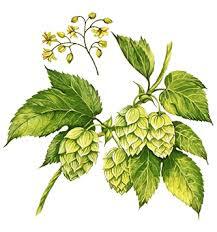 As everyone pretty much knows Hops is primarily used in the production of alcoholic beverages. As well as a great smoke, Hops can also be made into a tea. If you’re looking for an herb that smells good, this is it! Lavender flower has sort of a “blueberry” aroma.This beautiful herb is commonly used to help soothe the body and mind. No doubt, Lavender Flower makes a great smoke, especially when blended with other herbs. (Lobelia inflata Campanulaceae) Lobelia is also known as Indiana Tobacco. This herb is a Native American substitute for tobacco and the addictive qualities that come with it. 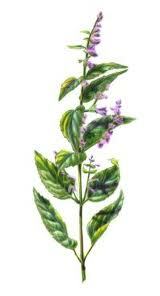 Lobelia’s chemical structure is very similar to tobacco, therefore some are finding it helpful as a quit smoking aide. You should not use Lobelia in any way during pregnancy. (Origanum Majorana Labiatae) Majoram AKA “Sweet Majoram” is a smooth tranquil type of herb. People who smoke Majoram by itself are more than likely doing so for relaxation, as Majoram has been reported to have a very calming effect. Marshmallow Root is used for many different purposes. 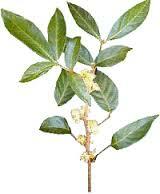 Some grind it into a tea when sick, namely to treat the symptoms of bronchitis. 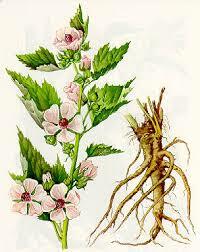 Back in the day, Marshmallow Root was used to make a lozenge that tasted similar to today’s Marshmallow. This herb is used for many reasons, including mixing with other herbs to make fantastic herbal smokes! (Leonurus Cardiaca Labiatae) Motherwort is an antispasmodic that can help to aid sleep and cause the body to relax. When smoked, Motherwort has been said to give a great sense of well being. Mugwort – aka The Dreaming Herb has been reported to have a calming effect. It is used in meditation and is sometimes used as a tonic herb. Muira Puama (Ptychopetalun Olacoides) is a very stimulating smoke. It has the appearance of wood chips, and if you are wanting to grind it, you’ll have a chore on your hands unless you have a nice hand held manual grinder. For the record though, you won’t need to grind it. It’s fine smoked as is. You can also mix it with other herbs, the most popular being Damiana. Mullein Leaf is a very smooth smoke, probably the smoothest going down of all of the loose herbs on this page. Its appearance is nice and fluffy. Mullein is known to help treat coughs and chest conjestion. Some people smoke Mullein to help kick the tobacco habit, and some even smoke it to aid in the quitting of Marijuana. (Urtica Dioica Urticaceae) Nettle Leaf is a part of the stinging nettle plant and amongst its many uses, smoking Nettle Leaf has become popular in the herbal smoke community. Passion Flower derives its name from religious symbolism and beliefs. The way the plant looks is thought to be symbolic of the crucifixion of Jesus Christ.Passion Flower has been reported to relax the body and induce sleep. Along with mixing it with other herbs, such as Damiana and Skullcap, Passion Flower also makes a great solo smoke. If you’re looking for fluffy, this ranks right up there with Mugwort and Mullein. Red Raspberry Leaf has been widely recommended for a long time as a uterine relaxant, and there are no reports in medical literature of any problems with it. However, we recommend you consult your doctor if you are pregnant before using Red Raspberry Leaf. It’s simply the safe and right thing to do. 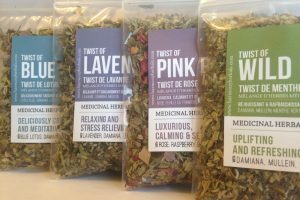 There are many smoking blends out there that contain Raspberry Leaf. Its texture is similar to Mugwort, nice and fluffy. It makes a good stand alone smoke, and a fantastic addition to herbal blend mixtures! Talk about a sweet smoke! Enjoy the great smooth flavor of Licorice Root. The Licorice plant can grow every bit of 6′ high! When it does it blooms purple flowers. After about 4 years the plant is pulled up and the root becomes a fine herbal smoke! Licorice root can also be a great sweetener for tea. St. Johns Wort was once thought to be a magical plant during medieval times. Modern research has shown what many people have already experienced with St. John’s Wort – that it is a powerful antidepressant. When smoked, people have reported an uplifting feeling. Many people have written us surprised that Marigold is a smoke, and such a GREAT smoke at that! They were also surprised to learn that Marigold is an herb. Surprise again! They’re lovely in a bouquet, and very lovely in a pipe. Skullcap is in the mint family of herbs but it really doesn’t have that mint odor to it, although it does have a pleasant scent. Skullcap can have a sedative effect, and it’s mild, but be careful not to overuse. Tribulus Terrestris is also know as “Puncture Vine” due to its little sharp spines. You can use Tribulus as a mood enhancing smoke and also as a tea. Wild lettuce is a biennial plant that is native to Europe. It is harvested in the summer as a flower. Despite what some people might want to believe, Smoking Wild Lettuce is not toxic to your system. Our Wild Lettuce smoke makes a nice enjoyable smoke. Many report that Wild Lettuce Relaxes the body and promotes sleep. (Stachys officinalis Labiatae ) Wood Betony is most notably a good remedy for a headache. While it was once thought to treat almost 50 different ailments, it is now known primarily for headache pain relief. 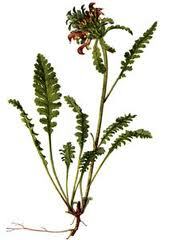 Wood Betony is a very powerful smoke and also makes a great tea! (Artemisia absinthium Compositae) Wormwood is a bitter and strong herb. A lot of people use Wormwood as an infusion to help with their digestive system. However, people also smoke Wormwood and many make claim that the herb gives them a POWERFUL smoke experience. If you plan on smoking Wormwood or planning on using it for any other reason, you should consult with your health care provider, especially if you already have a medical condition or you are pregnant.